Meat can be one of the most expensive parts of your grocery budget. This can mean that if you’re already looking for ways to save money on groceries that you can easily become overwhelmed by how hard saving money on meat can seem to be. Here’s the thing though; saving money on meat can be hard, but it isn’t impossible. In fact, it can be quite easy to do once you learn a few money saving tips and tricks to use at the store. You will have to be diligent though in order to save the most money possible. Please don’t misunderstand. There are a ton of ways to save money on groceries. You can use coupons to help you save. If you do though, please practice balanced couponing and don’t take it to an excess. You can stop buying the things you need and make your own homemade cleaner recipes, homemade beauty recipes and everything else in between so that you can stop buying and make homemade. You can shop the sale cycles so that you know when to stock up. This can be useful for building a stockpile on a budget and can help you save significantly. All of those ways to save money on groceries are not likely to help you save as much on meat as you might need. With meat, you have to be proactive about the ways that you save. Because it is so expensive, you can’t passively save money on meat. It is something that you will constantly have to work on when you’re shopping for groceries. The tips below can help you do just that. While buying meat in bulk might seem like it would be counter-intuitive, it usually isn’t. When you buy in bulk, you often get a much lower price per pound since you’re purchasing in such a large amount. To properly buy in bulk, you’ll want to purchase a larger freezer so that you can properly stock up. You will also want to consider whether to buy a Foodsaver as well to protect your meat while it is in the freezer. While I do purchase meat in bulk at my grocery stores and Sam’s Club, my favorite way to buy bulk meat is through Zaycon Foods. When you sign up for a Zaycon Foods account, you’ll be asked to choose your location. Do so and you will automatically be taken to all upcoming sales in your local area. They offer coupons codes every month which make the farm fresh meat they sell a great deal. For instance, my neighbor just placed her first Zaycon order and was able to score 40lbs of boneless skinless chicken breast for only $1.36/lb! Clearance can be your best friend when you’re looking for ways to save money on groceries, but it is especially important to look for meat that has been marked down. Buying meat that is on markdown can save you as much as 50% off of your grocery bill. Also, it is a myth that markdown meat is bad or spoils quicker. The truth is that it has reached its sell by date. This is the very last date that the store can sell it on. If the meat doesn’t sell, they have to get rid of it meaning that they lose money. By marking it down, they make at least a portion of what they paid for it back and you get to save money on your groceries. Markdown meat will be located in different areas of the store. For some, it will be in the end of the meat cooler while others will simply keep it with the regularly priced meat. Some will make it easy for you to tell that it is marked down with a special clearance sticker while others will simply print a new price sticker and place it over the old one. This can cause it to blend in with the regularly priced stuff. One of my favorite ways to save money on groceries is by earning free gift cards to pay for them. There are quite a few legitimate ways to earn free gift cards that you can do this with. You can earn free Walmart gift cards, free Sam’s Club gift cards, free Target gift cards and more. Once you’ve earned the amount that you need, take them to the store and use them to purchase groceries with. 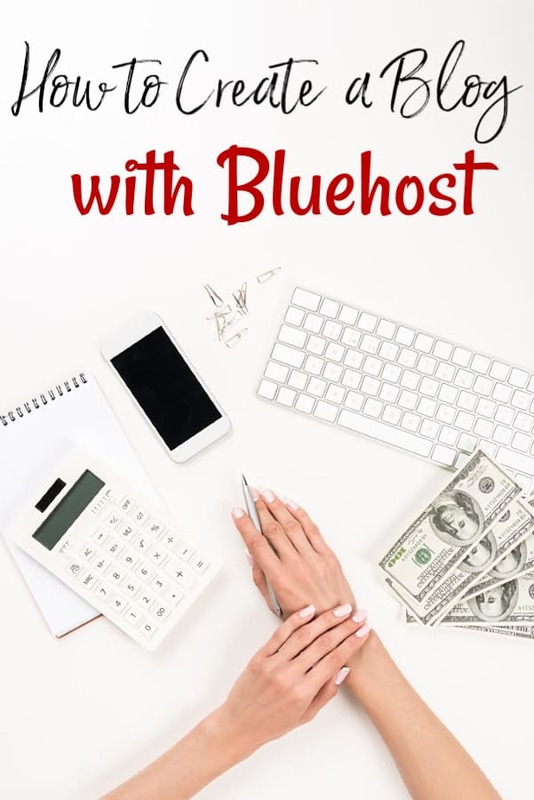 If you work just a couple of hours a day at these sites, you can easily add $225.00 or more a month to your income. 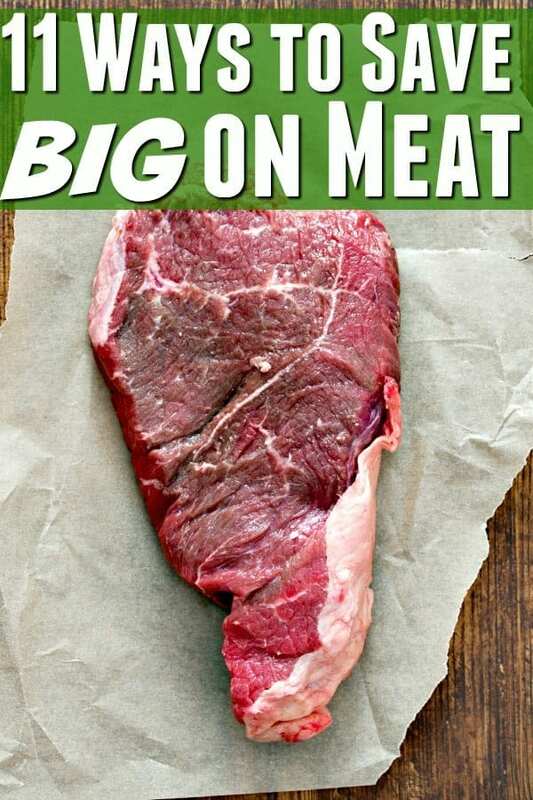 Did you know that sometimes there are printable coupons for meat? Yes sir-ree bob! (Don’t laugh at me..have you ever tried to actually spell that?!) These coupons can save you money on things like bacon, hot dogs, ground turkey, brats and more. Plus, there are several rebate apps and sites that you can use to get cash back when you buy meat. Grocery rebate apps such as Ibotta and Checkout51 will pay you cash back on not only meat, but a ton of other groceries that you buy each week (including milk!). When you sign up for an Ibotta account and you sign up for a Checkout 51 account, you’ll shop like normal. After you pay, submit your receipts for any rebates that you can take and scan the barcodes and you’ll get paid back a bit! By th e way, depending on the time of the year, Ibotta will give you $5 or $10 free when you claim your first rebate! If your store offers combo deals on meat, they can often be well worth your time to pick up. In some stores, you’ll be offered other food products free when you buy a specific meat product. In others, you’ll find them in combination packages like shown below. These combo packages can be a great deal depending on the size of your family. In the one above, I paid $19.95 for the entire package. We were able to make 8 meals from the meat that was included which means that I paid $2.49 per meal for the meat. We are a family of three though. If you have a larger family and will use more meat per meal, make sure that you weigh whether you will actually save or whether your meals suddenly got expensive. There are quite a few ways to preserve food and all of them can help you save money on groceries. This is especially true for meat. You can find different dehydrator recipes and buy a dehydrator to preserve them. You can pick up a pressure canner and learn how to can foods. You can learn to smoke them. The more you preserve your food for long term storage, the more you will be able to stock up on without having to worry about spoilage. One of the reasons that our society spends so much money to feed ourselves (and one reason we’re such an unhealthy society) is that we often mistake when we’re full and when we’re stuffed. This causes us to cook larger meals, eat larger servings and to not think about the consequences. This can not only make us healthier but it can cause a drastic increase in your grocery spending. One quick way to fix this issue is by stretching a meal with filler foods. Items such as white rice, brown rice, beans, potatoes, pasta and most green leafy vegetables (such as fresh spinach) can be added to a meal to make it seem larger. Flaxseed and chia seeds are also great options. There are so many benefits to eating Flaxseed that it just makes sense to add it. In reality, your family will eat less to get full since most of those foods are high in fiber. Fiber makes your body feel full quicker. It won’t make the meal cheaper per se’, but it will allow for leftovers, for you to feed more mouths and oh yeah…since you’re actually eating less, you may just find yourself healthier too. Freezer cooking is one of my favorite ways to save money on groceries and once you try it? I’m sure it will be for you too. To get started, you’ll want to pick up foil baking pans with lids and gallon sized ziploc bags at the very least. Find your favorite freezer cooking recipes and get cooking! Freezer cooking saves you money since it lessens the chance that you’ll want to eat out because there’s nothing for dinner. Not only that, but time is money and freezer cooking will save you a ton of it! If you need help with freezer cooking recipes, MyFreeze easy is a fantastic option. When you sign up for MyFreezeEasy, you’ll receive custom freezer meal plans along with exclusive videos to help you cook those recipes without breaking your budget. Meat is expensive, but you knew that already right? Why else would you be on this post, right? One of the best ways to save money on groceries is to have a meatless meal once a week. Instead, make recipes that don’t include meat such as potato soup, spinach lasagna and so on. Swapping out meat even once a week can save you a couple of hundred dollars each year so it’s worth it to give it a shot. On top of that, since you’ll be swapping for cheap and healthy recipes, you’ll likely be healthier too. Do you really need to eat steak three times a week? Probably not. What about eating hamburger and chicken instead? When you buy cheaper cuts of meat, you’ll save quite a bit of money on the cost of the meat in your grocery budget and despite what you might believe, you won’t have to suffer any taste either. Ground beef, ground turkey, chicken thighs and chicken breast if you can find a deal for it are all great options. One of my favorite chicken recipes is a super budget friendly recipe chicken thighs recipe. It’s a myth that you can’t make nutritious and tasty meals with cheap cuts of meat. Yes, the more expensive ones do taste better, but if your budget can’t afford them? You’ll do just fine with cheaper ones. Finally, asking for a discount is a great way to save money on groceries. While it won’t work on most groceries, it can work in the meat department. Meat has a sell-by date and once that date has past, the store can’t sell it. In most cases, they would rather mark it down for you to purchase than have it go to waste and lose money. When you’re in the store, look for meat products that are on their last date and haven’t already been marked down. If you find one, take it to the butcher and ask them to mark it down. Most of the time, they will. Stacey, what a great article. You are so right when you say meat is a huge part of a grocery budget. I work hard at keeping my costs down and do try to use some of the ideas you have given. We purchased a freezer a few years ago and love it. I stock up on meat and fresh veggies and fruit when I find a deal and pack my freezer full! I look forward to reading more! Another way I save money on meat is when they offer two for the price of one. So I only buy meat when it’s BOGO (Buy one, get one free). I just bought a pressure cooker so if I want to I can cook a large amounts of meat at one time. I would then separate it into 2 – 4 cup portions. So when I wanted to make a casserole, I would already have all the ingredients prepared.